A review of Google Blogger for Dummies, a book I completed reading a few days ago. It could be the must-have for all beginners wanting to eventually run internet marketing businesses. Even though I have been blogging for a few years, I found the tips and guides beneficial. well-versed in Blogging, Monetization, IT and SEO (Sales Engine Optimization). However, if you do not fall into the category, like me you would probably have only explored the basic publishing of blog entries. Minimal idea of monetization and SEO tips. The book gives you a list of links and websites you can check out for each topic. Here’s a quick look at Monetization and if you find it useful, you’ll probably find the other sections useful as well. There are a few ways you can monetize. Email me at mywealthmodel(@)gmail. 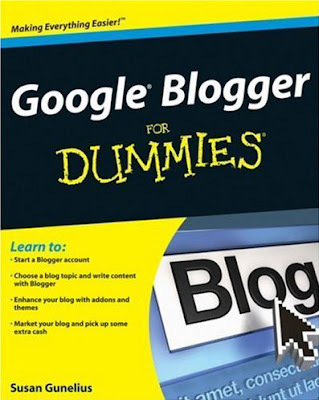 com if you would like some of the sites recommended by Google Blogger for Dummies for specific topics.